Find Wake Forest, NC Foreclosures for sale. View Photos, Maps and MLS Data Now! 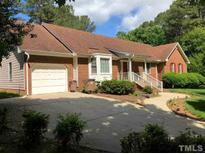 Beautiful corner lot convenient to everything in Wake Forest. Great curb appeal! MLS#2190951. 889. Fieldstone - Great outdoor spaces include wrap around front porch, screened porch & large brick patio with built in charcoal grill MLS#2168297. 297. These statistics are updated daily from the Triangle Multiple Listing Services, Inc. For further analysis or to obtain statistics not shown below please call Highgarden Real Estate at 919-759-5766 and speak with one of our real estate consultants.